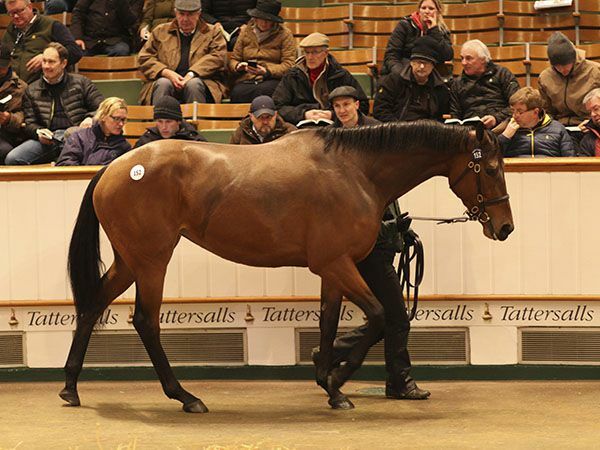 There were fireworks on the opening day of the Tattersalls February Sale with THETIS and SMOULDER setting a new sale record when selling for 550,000 guineas apiece. Turnover on the day was 3,992,650 guineas for the 145 lots sold, at an average of 27,536 guineas and a median of 5,500 guineas. The first of the sale-topping pair to come into the ring was THETIS who was offered as the final part of the Ballymacoll Stud Dispersal after missing her December Sale date. The Group 2 Rockfel Stakes runner-up is a half-sister to the Group 3 Musidora Stakes winner LIBER NAUTICUS and was offered with her recently-born LOPE DE VEGA filly foal at foot. The daughter of INVINCIBLE SPIRIT got the attention of many but it was John McCormack who secured the five-year-old for 550,000 guineas at the expense of agent Stephen Hillen. Following his purchase McCormack commented; “She is for an existing client and will remain in Europe to be bred - there are plenty of very good stallions to breed to. She is a lovely mare, very pretty, and the foal is very encouraging. She is from one of the best families at Ballymacoll. "I think that Peter Reynolds will go down in history as one of the best stud masters ever and, with Sir Michael Stoute, the pair formed a formidable team - they produced fantastic results with small numbers. "I am sure that Ballymacoll Stud will still be discussed in 15 to 20 years to come as the bloodlines will still be influencing pedigrees." 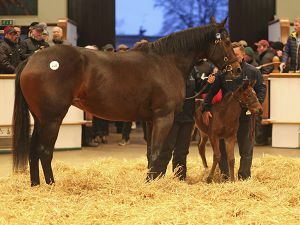 That price was matched the very next lot when SMOULDER, the REDOUTE’S CHOICE half-sister to 1000 Guineas winner LEGATISSIMO, was knocked down to Lordship Stud’s Tom Harris for 550,000 guineas. Underbidders on the four-year-old filly included Bertrand Le Metayer, Stephen Hillen and Chris Richardson but it was Harris who was to prove triumphant. "We loved her as a yearling, but could not afford her then. She is a stand-out today and we are delighted that we have had the chance to buy her. We tried to buy through autumn and did not, so it has come full circle. "We have some ideas for covering stallions, but have no set plans." SMOULDER is out of the MONTJEU mare YUMMY MUMMY, a half-sister to the five-time Group 1 winner FAME AND GLORY, and was raced by Mrs John Magnier, Derrick Smith, Michael Tabor as well as Markus Jooste. The third horse to break last year’s record price of 500,000 guineas was the Listed winner KEY TO MY HEART who was knocked down to BBA Ireland’s Eamonn Reilly for 525,000 guineas. Raced by the same Coolmore/Jooste partnership as SMOULDER, the daughter of GALILEO out of the Grade 1 Frizzette Stakes winner A Z WARRIOR was secured by Reilly for 525,000 guineas after he saw off Cathy Grassick, sat with owner-breeder Yvonne Jacques. "She is for a US client," said Reilly. "There is plenty in the pedigree for the US and Galileo fillies are hard to get. We are delighted to get her as I was underbidder on Longing." Trained by Aidan O'Brien, KEY TO MY HEART was a two-time winner at three, including once at Listed level in the Naas Oaks Trial. 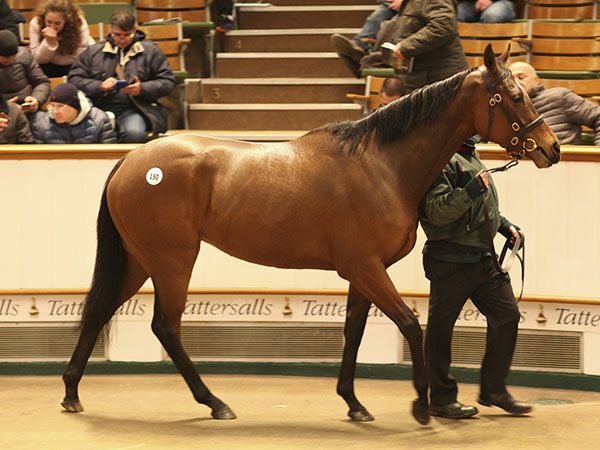 The third highest price of the four fillies to race for the Coolmore/Jooste partnership was POCKETFULLOFDREAMS who sold for 475,000 guineas to the bid of Stephen Hillen. Listed placed in the Lingfield Oaks Trial, the daughter of INVINCIBLE SPIRIT is a half-sister to the Group 2 Prix de Royallieu winner THE JULIET ROSE. "She is for a new client," said Hillen. "She is by Invincible and is well related. She could run herself and it is a happening family." The fourth of the Coolmore/Jooste fillies to be offered was LONGING, the GALILEO half-sister to Group 3 winner LADYS FIRST, who was purchased by Cormac McCormack for 220,000 guineas. 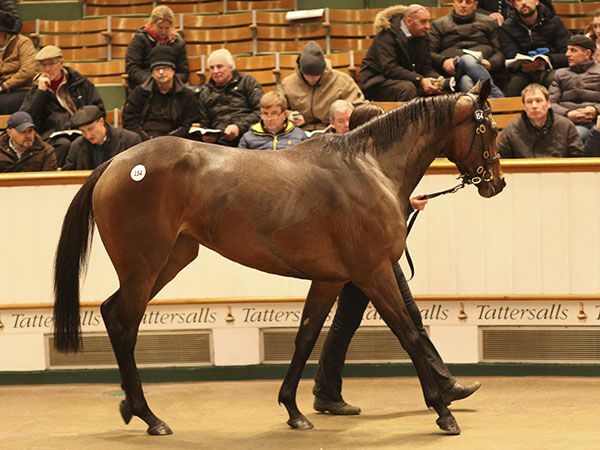 The Tattersalls February Sale continues at 10am on Friday, February 2nd with the exciting three-year-old WILLIE JOHN set to be one of the stars of the show.